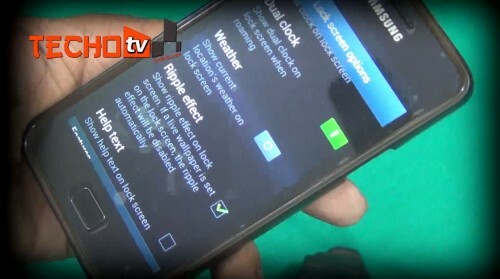 Samsung Galaxy S3 users enjoy ripple effect on their lockscreen and several other features. While most of the galaxy s3 features like pop-up play, smart dial, smart stay have been included in the official Jelly Bean firmware update for Galaxy S2, yet we don’t have ripple effect on galaxy s2 lockscreen. So, here in this guide, we’ll see how to add ripple effect on Galaxy S2 lockscreen. CWM recovery mode installed with root access. (If you don’t have CWM recovery, check our guide to get CWM recovery on JellyBean Galaxy S2 phone along with Root access with Philz Touch 4). 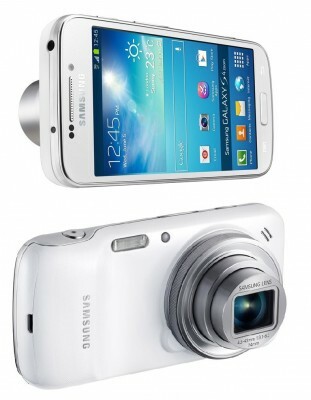 Download Ripple Effect mod for Galaxy S2 phone running stock JellyBean XWLS8 firmware from here. Copy the downloaded file in above step to external memory card of your phone. Do not extract the zip file, just copy it. Start your phone in recovery mode by pressing volume up+home+power buttons together for some time. Choose Install Zip and then select Choose Zip from SD Card. Now select the copied file from the sd card (Ripple-Effect.zip) and then select option Yes. The ripple effect mod for galaxy s2 will be applied. Upon phone start, it’ll display Android is upgrading notification and then android is optimizing apps. This will take time depending upon number of installed apps on your phone. As your phone is ready. Go to phone settings and then lockscreen and then lockscreen options. Scroll down and you’ll see a new option Ripple Effect already ticked. Untick it and lock the screen, the ripple effect will be disabled. Enable it again by going to lockscreen settings. Congratulations! Now enjoy ripple effect on galaxy s2 lockscreen, but there is no sound on ripple effect! Subscribe to our website and connect with us on Google Plus, Facebook, Twitter to get more such exciting android modding guide and tips for your galaxy s2 smartphones. Does this work on XWLSD 4.1.2 also? Haven’t tried.. may not work with xwlsd..
this is incredible in its simplicity and the final result. thank you very very much!!! It works for XWLSM ? i’ve updated from 4.0.2 to 4.1.2 thru kies…and JellyBean XWLSM firmware it’s what is installed on my phone. but i just wonder if there is a way to remove the blurry/fog effect when using a black screen?? Thanks for the reply Saurabh. Is there a way for me to have the ripple effect back in my S3 Mini? Hope you could help me. Thank you. Could you pls. tell me if there is a way to remove this foggy appearance when using a dark background.. is it normal to have this fog effect? pls tell me if you have this effect as well..
hi my Galaxy S2 phone is using official jelly bean 4.1.2 via kies, PDA:LSD PHONE:LS9 CSC:LSE(INU) this one support this ripple effect? plze rply? Thanks it really works real good! Great Work! And gracias de nuevo!